In this digital age you may wonder what it takes to make a Clickteam Fusion 2.5 tutorial and believe me, it’s something I have been doing for almost 6 years. Ever wondered what goes into writing a good Clickteam Fusion 2.5 tutorial? In 2017, producing material has become almost a full time job. 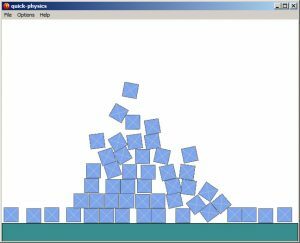 As aspiring game designers and developers, we are always looking for that new bit of content, that new edgy routine or maybe just a complete tutorial on how to achieve something in Clickteam Fusion 2.5. Compiling a list of Clickteam Fusion 2.5 tutorials on a full time level can be as simple or as complex as the writer wants it to be. Defining in your own mind what the target audience will be is the number one priority for writing a successful tutorial. 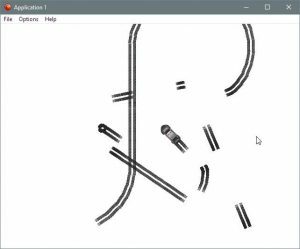 When writing tutorials it’s easy to slip off into your own realm of complexity when using a product such as Fusion 2.5. But you must always maintain the number one priority when writing the tutorials and that is, who the expected target audience is. It isn’t going to work. As hard as it may be for a more advanced user to write a good tutorial, it can also be frustrating at times as you get to a certain point in your tutorial where basic talk just isn’t going to work. It’s very true. The more time you spend writing a tutorial, the more defined it becomes. The more time spent forward planning and thinking about the tutorial, the more refined it becomes. I say this through experience. Even to this day after writing hundreds of tutorials, I can still be a suspect of it. You really need to develop the ‘knack’ of forward thinking how you are writing your content. Knowing how you will take your user from point A to point B in a flawless manner. That is what someone reading a tutorial wants, so planning ahead, writing down key notes and then writing in a style that flows from point A to point B to point C is beauty to the readers eyes. Grammar is highly important when writing a tutorial, whether for beginner, intermediate or advanced users. Here at the Academy, we serve users from over 50 countries so it’s very important to get it right first time. “Anyone can write a tutorial” is the general idea, and that is true, but to write good Clickteam Fusion 2.5 tutorials, we always ensure we are grammatically correct, our tutorial objectives are well defined and everything is used in the proper context. Age is another factor when it comes to grammar, our readers range from 4-5 year old children all the way to our later folk in their 70’s, so we have to ensure grammar is correct and slang terms are used loosely or at least referenced when used. The way forward is screenshots and images, and plenty of them. When we write tutorials for the ClickFusion Academy we already know that nobody is going to read a 1500 word tutorial without getting either bored, lost or both. You need to break the tutorial up with images and this isn’t just for aesthetic. Sometimes, the reader may not fully understand a particular paragraph, sentence or expression. So you have to screenshot it and present it in the best form possible, in one image. Screenshots take up time, valuable time. I know I could personally write 400 words in the time it takes to setup the scene, take the screenshot, crop and upload but it’s a necessity for both the reasons described above. 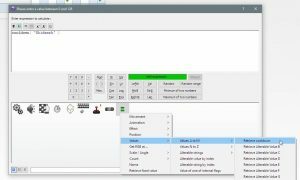 Tutorials for Clickteam Fusion 2.5 are valuable for both the reader and the Academy. They allow insight into fundamental routines and advanced methods. Almost like a ‘library’ of how-tos. Since 2012 I have come to realise just how important they are and here at the ClickFusion Academy, we take writing tutorials very seriously. We do put a lot of effort into writing, producing screenshots, editing and publishing. Quality in the content is important as-well as the primary objective for the given content. 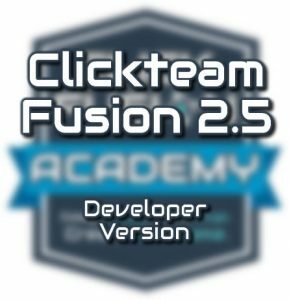 We have a complete list of free Clickteam Fusion tutorials here. I wanted to write this today to give you a better insight into how we do things here at the Academy. What can take 6 hours to write as a written tutorial, could literally take 20 minutes to produce in a video but a lot of people still like to read, bookmark and learn through the use of written tutorials. You can also check out how to become a member of the Academy. 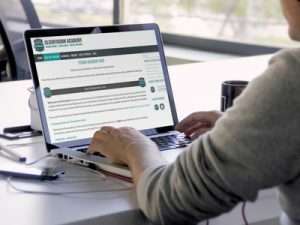 We currently offer over 150 tutorials, written and video.